quality of advertisements. – Not more then 3 ad units per page! for clicks generated from the search result pages. phone and PDA users, you can earn cash by placing this type of ads too. units per page (the most I’ve seen was 7 or 8, can’t really remember). them at adsense and earn cash for every generated click. page. 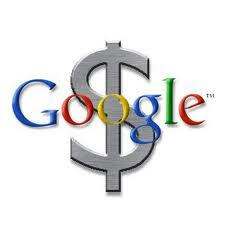 A lot of people, who start up with Adsense wonder how much they can make per click or per 1000 visitors. According to Google website, you can earn up to 5$ per click, but your earning depends only on your user activity (on your CTR – click through-rate). Also I know that new web-masters, who have just signed up with Google adsense want to earn a lot and right away, so they ask friends to click ads. This is strongly forbidden by adsense and I recommend you not to click youradvertisement, google is way more smarter thanyou think.